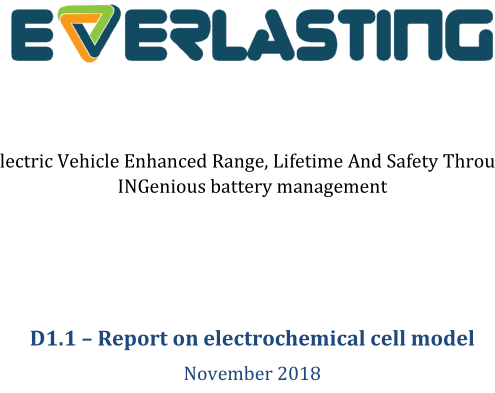 The EVERLASTING project will develop innovative technologies to improve the reliability, lifetime and safety of Lithium-ion batteries by developing more accurate, and standardized, battery monitoring and management systems. 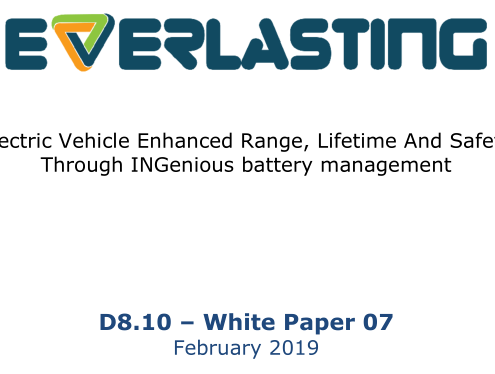 This allows predicting the battery behavior in all circumstances and over its full lifetime and enables pro-active and effective management of the batteries, which leads to more reliability and safety which enables preventing issues rather than mitigating them. 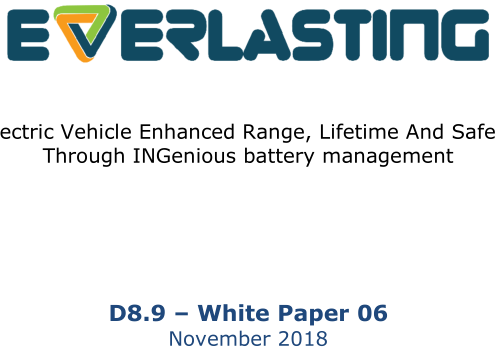 Moreover, by exploiting the interaction between the battery and the vehicle, more accurate range predictions can be made to reduce the range anxiety for the driver and allows the battery to be kept in a safe and optimal operational state to improve the lifetime of the battery (target +20%) and to use the battery to its full capacity in a safe way. 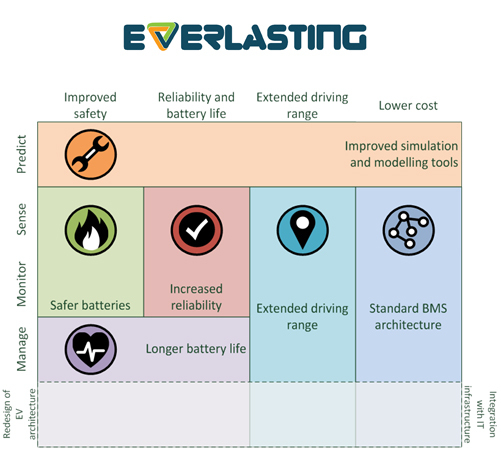 This will lead to lower overall costs.